This photograph is believed to be from the 1920s. 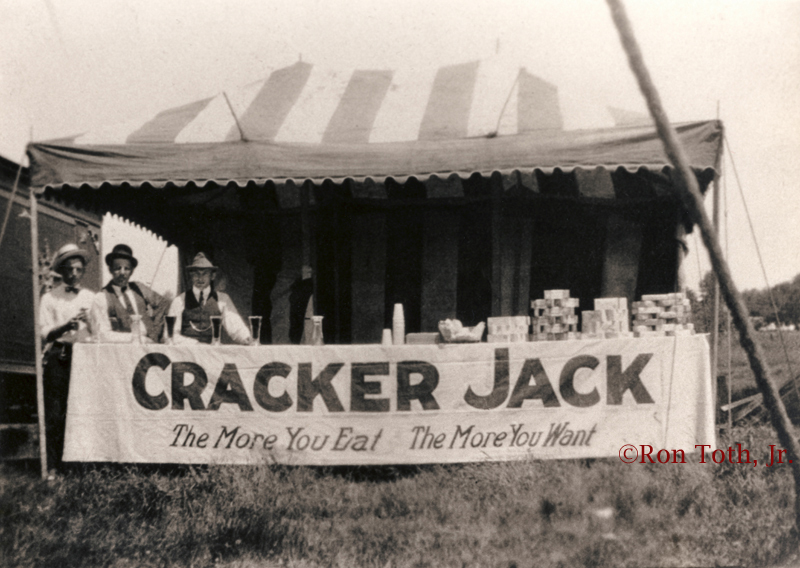 It is of an old Cracker Jack Concession tent with three men employees posing. There are stacks of Cracker Jack boxes on the right and what appears to be beer glasses on the left. It has the usual "Cracker Jack - The More You Eat - The More You Want" advertising banner. The tent was probably set up at a Fair. The event and location are unknown. I have stated elsewhere in the forum how I love your photos of all that is Cracker Jack! I wanted to thank you again for taking the time to share them with us all! I think I have a couple hundred to go. 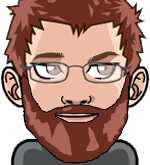 I am working from 1-3 hours on each before posting them. I wonder if the concession people made the sign themselves. Guessing from the font used to spell Cracker Jack. I enjoy looking at them! Not sure what the above comment means, but there is a spam link within it.